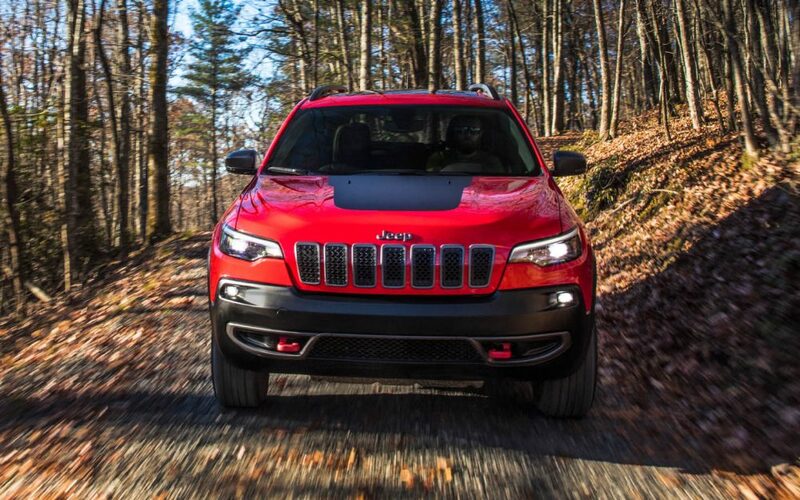 Although Jeep is known for a variety of vehicles, there is no car in their lineup more popular than the Cherokee SUV. In 2019, the company really went above and beyond to promise all of the best features, design elements, and power under the hood to get you wherever you need to go and doing whatever you need to get done. This is a true wonder of an automobile, enhanced this year in nearly every way. The Long Island Buyers Guide suggests this vehicle across the board, and Security Jeep serving Amityville Westbury Massapequa Long Island New York can help you buy a 2019 Jeep Cherokee on Long Island today. The historically favored design of the Jeep Cherokee is amped up this year, with a freshly designed front end and tailgate. It features brand new LED headlamps, as well as fog lamps and daytime running lamps. The frontend is also enhanced by the redesigned grille, comprised of seven slots. This SUV also looks great from the rear, as the taillamps also received a fresh design. The license plate was moved to the center of the SUV’s backend, so that the liftgate is much sleeker and more intuitive with the foot activated mechanism to open it for ease of loading when your hands are occupied. The trademarked Trapezoidal Wheel Arches return on this model to keep the 2019 Jeep Cherokee in line with its older brothers and sisters. Wheel choices include 18-inch gloss black wheels, 17-inch painted aluminum wheels, 19-inch polished aluminum wheels, and more. The exterior design is also enhanced by the front and rear windows being enlarged to ease with drive and make the SUV look more distinct. 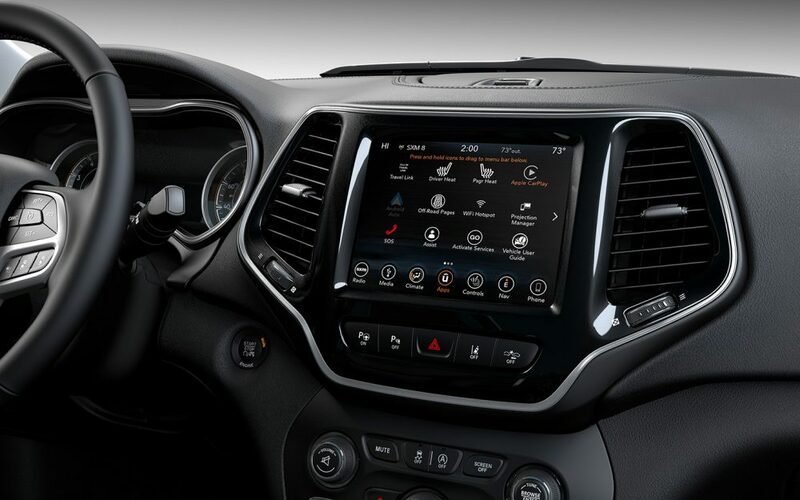 The redesign of the 2019 Cherokee’s interior continues the SUV’s long-standing commitment to style and function. A leather-wrapped, heated steering wheel is available to keep your hands warm as you drive in colder climates. The interior has also been spruced up by chrome accents to the steering wheel, door handles, center console, and shift knob. The Cherokee Altitude comes standard with black cloth seats wrapped in leather, that are heated in the front, adjustable into eight configurations, and has four-way support of the lumbar. 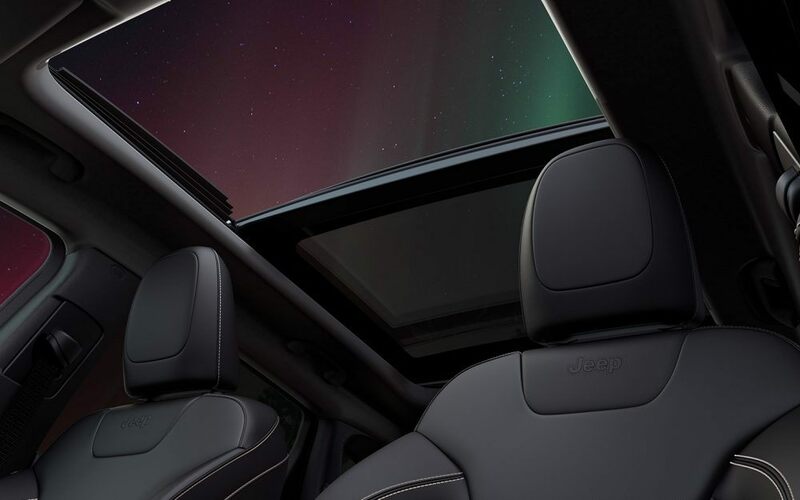 For the 2019 Cherokee Overland, white ventilated, trimmed with leather, and made up of soft touch points for maximum comfort. There is an available Commandview dual-pane panoramic sunroof on all models to give all passengers an engaging view of the world around them. The interior design is nothing without entertainment options, and this new model comes with available Aline Premium Sound System with 12 channels on the 506-watt amp, nine speakers, and an 8-inch subwoofer. The media hub is loaded with two USB ports and everything inside this Jeep can be powered by Siri voice commands. These Jeeps are made for serious off-roading, and they are capable of such amazing feats through the Active Drive 4×4 systems that ensure the correct tire always receives the traction it needs to maintain forward momentum on difficult roads. There is an available Selec-Train Traction Management System that comes with Snow Mode that reduces slipping and oversteering during the winter driving. In all, there are five driving modes: Auto, Sport, Snow, Sand/Mud, and Rock. This off-roading power is enhanced with Jeep’s front and rear independent suspensions that give you full control over the vehicle at all times and makes driving a real enjoyable experience. The SUV’s frame is made from extremely durable steel that promises strength and toughness, but also enough flexibility to handle whatever comes the car’s way. There are three possible powertrain options for this vehicle, all connected to a nine-speed automatic transmission. The standard 2.4-liter Tigershark MultiAir 2 Engine boasts 180 horsepower, 170 pound-feet of torque, and 2,000 pounds of towing power. The available 3.2-liter Pentastar V6 Engine promises 271 horsepower, 239 pound-feet of torque, and a shared 2,000 pounds of towing capacity (which can be upgraded to 4,500 pounds of towing power). The 2.0-liter Turbo Engine upgrade runs on 270 horsepower, 295 pound-feet of torque, and has the power to tow 4,000 pounds. For more information about powertrain configurations, please contact your favorite salesmen serving Amityville Westbury Massapequa Long Island New York. This masterfully designed SUV also comes loaded with a plethora of safety features, built around the high caliber steel frame that maximizes protection in the event of collisions and also maintains a stable balance of the vehicle at all times. There are eight airbags standard in this model to keep everyone safe in accidents. Other safety features include blind spot monitoring, Lanesense Lane Departure Warning, forward collision warning, and rear cross-path detection. Parking is made a breeze in the vehicle through the back up camera, parking assist, or automatic parking options. Vehicle stability is maintained through Jeep’s Electronic Stability Control (ESC). The 2019 Jeep Cherokee is a masterclass SUV that has few true competitors, if any. Perfect nearly across the board, this is a safe, durable, versatile, and fashionable vehicle that is sure to please and help you live life to the fullest. 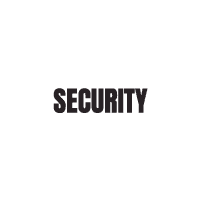 If you are interested in purchasing a 2019 Jeep Cherokee on Long Island, make your way over to Security Jeep today. This Long Island Buyers Guide endorsed vehicle can be yours today at the dealership serving Amityville Westbury Massapequa Long Island New York.